Landlord nightmares, I lived through it or did I? Everyone presumes that all landlords make a ton of money. If you buy at the right time and get a low interest mortgage, you can make a lot of money. If that is all there is to rental property, it would be easy! Managing your business or investment is up to you! Rental property is a business, but that is just part of the story! Rental property has a lot of pitfalls! Sometimes they are called money pits. If you do your homework before you buy, you can avoid most of the physical issues. Some of the things to consider before buying are location, deferred maintenance and income level of the building. Location determines how much you can charge for rent, maintenance and condition of the property will add to your annual expenses and don’t forget about problem tenants. Problem tenants will take up a lot of your time and decrease profits. Owning rental property is a business and you will make or lose money based on income and expenses. What are some of the things a nightmare tenant might do to decrease your profits? Some tenants act very irresponsibly! They do not pay their rent on time or they bounce their checks. You can charge them fees for returned checks and late fees for being late. Irresponsible tenants do not care and will probably stiff you on the fees. Stick with you lease agreement and make sure you do what you said you would do if the tenant violates the lease. It becomes important, if you have to evict the tenant. 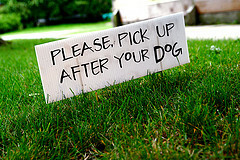 Some tenants who are irresponsible will also be noisy and do things that will drive your good tenants nuts! This is real dangerous because you will lose your good tenants. Having a good resident manager or management company helps solve these issues. Noisy parties can mean damage to your property. Noisy parties can mean damage to common areas and vandalism. Vandalism can be within the apartment or chairs around the pool, windows, doors or equipment in the common area. You cannot watch the tenants all the time and why would you want to? All tenants are great on the first day when they give you the deposits and the first month’s rent. Things change because the tenant does not have a job or made very poor choices. When a tenant does not pay the rent, you should start legal action because it takes time. You can always stop it, but the clock starts when you start. It starts with a three (3) day notice, file the eviction paperwork, serve tenant, and file court documents. From start to finish in California, it takes an average of 60-90 days, if the tenant does not answer the complaint. Answering the complaint extends the time period. Some tenants will file for bankruptcy and that will extend the time period to 6-9 months. What else could go wrong? Murder, crime or drugs or other issues! As an owner you have responsibility for your property. I am not talking about legal liability, but responsibility for avoiding pitfalls that could materially ruin your property. Tenants are renters and they do not have a stake in your property value. They may not report the water leak that can cost you in utility costs and much more if there is damage. That same tenant expects superior service all the time and will drive you crazy over a light bulb. What is an owner to do? I wrote an article about how to avoid problem tenants which details how you should spend your time at the front end to avoid 99% of these issues. Many owners are cash strapped when they go through an eviction and grab the first tenant that shows up. This is a huge mistake! Screening tenants is almost an art form, but you can check for evictions and credit very easily. You should definitely see how they treat their current rental and you can check with their neighbors too. It is a lot of work, but it will avoid problems later. Have landlord nightmares stopped you from becoming a landlord? I’ve thought about getting in the real estate game but so much of the unknown territory that you’ve described is what’s kept me away. You just never know what’s going to happen. Did you see today’s blog post at http://afford-anything.com/2012/01/04/kidnapped/ where their tenant is great but got held up at gunpoint? That’s unbelievable! As they say, stuff happens! You can be held up in Beverly Hills or mugged on 5th Avenue in New York. Landlords can control most of it, but not all of it. The is the old risk/reward situation. I’ve thought about becoming a landlord before, but reading stories about it (like this and JD’s story) have severely discouraged me. Perhaps it’s better for cash flow, but I’d much rather invest in the market where I don’t have deal with tenants, evictions, and other problems like that. I’m sure there are some things you can do to prevent getting problem tenants, but it seems the possibility is never completely eliminated. Personally, I don’t like the market because I feel I have very little control over it. I am in the market though and try to spread my risk well enough to have some control. Not a landlord, but I have some stories as a tenant! Some landlords are an absolute pain-in-the rear! The only time I could get anything fixed was when it was time to renew the lease! You’re right there are plenty of those guys out there too. As a tenant, you can always move though. I absolutely can relate to with these concerns of being a landlord. I don’t automatically assume that the landlord is making a ton, or anything for that matter, especially given how most people “buy” their properities. Regardless, there’s are numerous considerations that go into prospecting a tenant that go beyond their initial ability to pay. Most of the people I know who own income property have owned it a long time. They may only make a small amount each year, but they are asset rich! Rental property is a business and have all the problems a business has. My step-dad built his wealth through real estate, and he learned a lot from becoming a landlord. Eventually, he could ask a few questions, size up prospective tenants and choose good ones within minutes. It’s definitely a skill. Experience does that for you! Over time, I know I am able to size up people and situations much better than most. Finding and keeping great tenants should be the #1 priority of any landlord. I like rewarding / incentivizing good tenants by sending them Target gift cards, offering to make upgrades, etc. Sounds like good marketing. I never had to do that, but I had buildings where it is a little less personal. I haven’t had any landlord nightmares because I’ve not been in a position to be a landlord! I do like the idea of having rental homes, but renters can be a challenge. From my experience living in apartments, I could list quite a few incidents that I wouldn’t want to deal with as a landlord. We don’t own any rented property although we have been thinking about it. It is a lot of work and worry. I have sometimes thought that the rental periods over here are generally too short – 6 months is typical with 1 month after that. Whereas in Continental Europe, leases are generally many years and people don’t buy their own places until they are in their 40s. I may be wrong but I would have thought that long term rents with a substantial (I mean 6 months or a years) deposit and the right to decorate the premises would encourage people to look after the house. Short term rents and small deposts don’t. Renting is a solution for many young people so there is a market . The difficulty is in getting the balance right. For every rotten landlord there are many rotten tenants but then there are a lot more tenants than landlords! Good assessment! Most renters are not bad, but they do not care about your place. Their priorities trump your priorities. You should always make money, but it is not quite automatic. I’ll become a landlord in 6 months as we pack up and leave our home and head towards our next military duty station. This article is not going to help me sleep at night! It’s a business, as you point out. There is always risk, and there are steps you can take to minimize exposure. Our professional property manager will swiftly deal with the late payments and any other issues…I hope. Just stay on top of him. If you can have someone check on the tenant, it would also be another way of staying on top of the manager. Just like everything, if you are diligent on the front end when screening your renter, you will avoid a boat load of problems on the back end. Great tips! You’re right spendinng time upfront will avoid or reduce many, if not all problems! I hear you on this, this is the reason why I don’t do real estate. However I understand the potentially great profits from it but you have to be very dedicated in order for it to work. Think of it as a business that you can leverage your investment and other people pay for it. We don’t own extra real estate yet but it has been part of discussions. Being a landlord can be scary. We have talked about hiring a property management firm to deal with the headaches for us. Not sure how it would work out but it is definitely something we want to look into if we get to the point of being landlords. It is hard to find a good property manager! That said you can try rental property on a small scale by buying a condo and renting it out. Such a timely, relevant post! I’m saving to purchase an investment property next year or the year after, and I definitely will be reading up on how to be the best landlord possible. Thanks for sharing all of this! You’re welcome, make sure you read my article, “How to Avoid Problem Tenants”. Good luck. This post details exactly why I can’t see myself ever doing real estate. There is simply too much to worry about for someone like myself. I would rather look to the internet and investment options in order to generate semi-passive income. The headaches associated with renting really scare me (plus, where I live, renter’s rights are getting ridiculous; hence the extreme conversion of many former apartments into condo sales). Most landlords do not experience all that I described, however a little thorough front end screening removes most of the headaches. I’d love to use this post in my real estate investment round up – would that be ok? Absolutely! You may also like another similar article called “How to Avoid Problem Tenants” too. Thanks for the advice Larry. We have had good luck with the rentals so far, but I will keep an eye out for problem tenants. Our renters have been great. They pay on time and so far no glitches or problems. That is the way it is supposed to work! In most cases, people do what they are supposed to do and everything works out. You found a good one. Ugh, landlording is such a cult here in NZ. I can’t think of anything worse. Not to mention that most properties here are cashflow negative. I just don’t understand it. There is nothing wrong with that! Rental property is not only a business, but an investment too. Rental property is is very lucrative over time, but may start off negative. no investment is guaranteed and carries risks. When a stock does bad, you just get rid of it. Not so easy with a “problem” renter. Thanks for the heads up! Just to put it in perspective, I included every possible nightmare! Most people, if they exercise a little care, will never experience 99% of this. It is stories like this one KC that keep me from buying a rental property. With real estate prices in Phoenix likely to be stagnant for some time it is not the invest it once was. I think Arizona, Florida and Nevada may have the most foreclosures. Parts of California was also hit bad. Will it be stagnant for a while? The short answer is yes! If you can find a good deal, you can beat the market. Similar to stocks. I wish you could mentor me! I’m getting into the landlording biz this year. I am excited yet slightly anxious. I have little experience though I was a landlady in the early 90s and I was much younger and naive then. Want to try it again! 🙂 I feel it’s a good time to buy…. I had always avoided real estate due to the fear of nightmare tenants. I finally took the leap when I had a partner to go in with who knew what he was doing. In the college real estate scene, we’re seeing our share of destructive behavior and learning from it. At least the security deposits were high! There’s definitely quite a bit of risk to being a landlord, which is one reason I’ve avoided that particular money-generating opportunity. (Some of the others, in no particular order, are the fact that I’ve been moving a lot myself in the past few years, that I haven’t had the time to learn all the finer points of landlording, and that frankly, I’m not that fond of tending to my own home, let alone trying to take care of another home, at least currently.) Perhaps I’ll have to open myself up to the possibility a bit more, albeit with plenty of caution. My article represents roughly 13 years of owning rental property and other owner’s experience too. Rental property may not be for everyone, but consider the risk/reward of the investment.